About 11% of population of Karibati are people older than 50 years. The average life expectancy of men is 57.2 years, while women live about 62.3 years long. In this regard, taking care of senior citizens is one of the most important tasks of the government of Kiribati. All measures that are taken will help to provide sufficient living conditions and standards for senior citizens of the state. 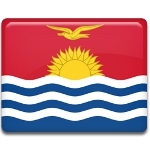 Senior Citizens' Day, as well as Gospel Day and National Culture Day, is a public holiday in Kiribati. Different events are organized to celebrate this day. The residents of Kiribati congratulate their elderly relatives or friends with this holiday and thank them for love and care they give.